EMF stands for Electromagnetic Field. 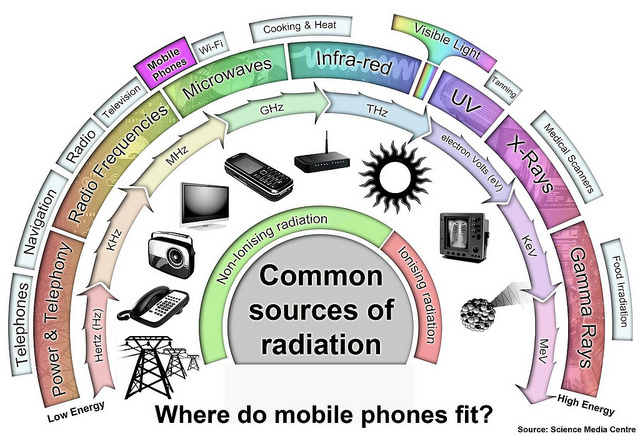 An EMF is an invisible field created by all electric, magnetic and wireless fields of energy. EMFs occur two different ways; Naturally and Man-Made. Almost Everyone is Exposed to Man-made EMFs. Man-Made EMFs are a SERIOUS Threat! Our Cell Phone Shields™ have been encoded and embedded with a broad field of over 230+ resonating frequencies that are Harmonious & Beneficial to the body. They are made using a non toxic plant based resin and nano crystalline technology, which is infused with information (like a computer chip) using our proprietary Bio Resonance Technology. By transforming chaotic frequencies from electrical and wireless fields into beneficial frequencies, you are able to enjoy the convenience of wireless technology without bringing harm & chaos to yourself or to those around you. The Cell Phone Shields™ can also be attached to your, iPod, hair dryer, and other small appliances that are emitting these dangerous fields of energy. Once attached, these shields do not effect the operation of the phone, blow dryer, or small appliances. By reformatting the micro/radio waves the shields energetically balance the body when carried next to it or used close to the brain! Mesotherapy: Lipodissolve injections. Lose fat from chin, underarms, “lovehandles”, etc. We are Springdale Health Integrative Clinic. Our clinic is a fully digital with a state-of-the-art electronic medical record system. It is our goal to provide our patients with exceptional Integrative Medical Care. 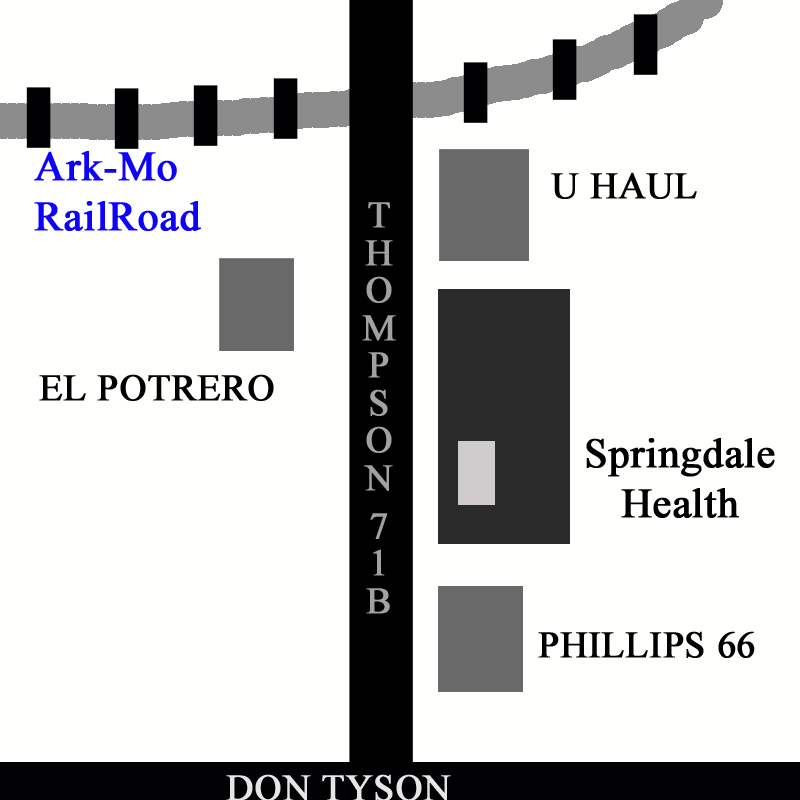 We are located right infront to EL POTRERO Store in South Springdale, between the railway line and Don Tyson Parkway. We are accepting new patients, except MEDICAID, MEDICARE or ARKIDS . We invite you to call us and to visit our clinic, meet our staff and try our services. Paypal/ Bill me Later: We offer financing for all our procedures with Paypal/Bill me later. You will need to PRE PAY prior to any and all PROCEDURES.